Charlie Brown was depressed about the commercialization of Christmas, the undue emphasis on “things.” He went to see his friendly neighbourhood five-cents-a-session psychiatrist, Lucy. The therapy she advocated was involvement in an activity with other people. So Charlie Brown became the director of the Christmas play with the Peanuts gang. Let’s not overlook the “things” that help make Christmas special for us. 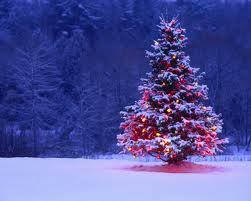 They are part of Christmas, a part that we enjoy — the tree and the lights, cards and presents. These associations of Christmas, if not essential, are important for most of us. In themselves, they are not wrong. Of course, many of us would enthusiastically agree with Lucy, “Christmas is a big commercial racket run by an Eastern syndicate.” Many people try to make the things of Christmas the whole of Christmas. To the child, the meaning of Christmas is, almost entirely, about the “things” of Christmas: the bright coloured lights, the candy, and the new toys Santa brings. It’s natural. For them, Santa Claus, who is the Spirit and the personification of Christmas, is just a jolly elf in a red and white suit who brings their presents. As we grow older, these trappings of Christmas begin to lose their novelty and thrill. They become more common to our experience — and the plum pudding now gives us indigestion. If we don’t grow beyond this childish understanding, this obsession with “things,” Christmas will begin to lose meaning for us. There’s nothing wrong with all the trappings of Christmas, as long as they lead us to see the deeper meaning of the season, the spiritual reality of which “things” are only a symbol. As we grow up, it’s not the “things” of Christmas that give Christmas meaning, it is the “others” of Christmas, the ones we love and care for and who love and care for us. For while things give a limited amount of ephemeral pleasure, real human happiness and fulfillment in human life come through personal relationships. Contrast two homes. In one there are many things without much love. In the other, there is an abundance of love without many things. In one, you may find expensive presents, large and beautiful decorations, lots of wonderful things to eat, but there doesn’t seem to be much Christmas spirit. There is not much evidence of joy, or love. In the other home, you find the presents are not rich and the stockings hung for Santa are not very fancy. Yet in this home there is a love and a joy that is evidence of the real Spirit of Christmas. The material difference between the two homes is obvious, but the spiritual difference is also very real. Christmas is about others — those we love and care about, and those who love and care about us. Without this, Christmas loses its meaning. The love we may feel for others is like the love we see and know in Jesus whom we call Christ, whose birth we claim to be celebrating. This spirit of self-giving love is what makes Christmas so Christmassy. And we say that this same spirit of “Love,” which is the Spirit of Christmas, the Spirit we know in Jesus, is the same we call “the holy Spirit,” the very Spirit of God. Without this “Love,” without this Spirit, there can be no Christmas. Christmas is “Christ’s mass,” the celebration of Jesus’ birth. It is not just “things,” not just “others.” Jesus is the reason for the season. Without Him, there would have been no Christmas in the first place. We have been content to make Christmas a celebration of human goodness, but we have forgotten the source of that goodness, the well from which it springs. We celebrate “peace on earth, goodwill amongst all peoples,” but we forget “Glory to God in the highest.” In all Charles Dickens wonderful story, A Christmas Carol, there is hardly a mention of the Christ of Christmas. All that is needed is the innate goodness of the human heart. The effect is that Christmas becomes a celebration merely of human goodness and charity. But, we must remember that central to the reality of Christmas is not our goodness, but the goodness of God. The source of the Love which is the very Spirit of Christmas is the Spirit of Love which we know in Jesus Christ. If we forget that, sooner or later we will forget what Christmas is all about. And so we have a problem. As Christ is left out of Christmas, Christ is also left out of our lives. As Christmas becomes a celebration of human goodness without acknowledgement of the goodness of God, Christmas is cut off from the source that gives it life. Christmas then becomes more and more a “festival of things,” a celebration of empty materialism click to read. Thus, we have become too concerned with things at Christmas time because we have lost the Christ who gives Christmas its real meaning. It’s not a matter of putting Christ back into Christmas. Christ is Christmas, because without the Spirit of Christ, there is no Christmas. No matter how rich the wrappings, how furious the celebration, it runs empty and becomes only a garish display, an empty illusion, a pointless effort. So hear again the age-old story, “Glory to God in the highest, and on earth, peace, goodwill amongst all peoples” and open your hearts to the love all around you. And listen. “Go outside. Look up at the stars and listen.” Perhaps you too will hear the movement of the Spirit among the holly and the pine, and the far-off sound of angel voices.